Hi Audrey, I really love your blog and your daughter is the CUTEST baby on the world! CONGRATULATION! OMG!!! CONGRATS! she is so cute!!! CONGRATS!!! what a cute baby - i love! i´m also pregnant. it will be born in june!!! What a beautiful name and a beautiful baby girl! Congratulations! she is so perfect! I believe you are the most happiest person right now! enjoy it mama! 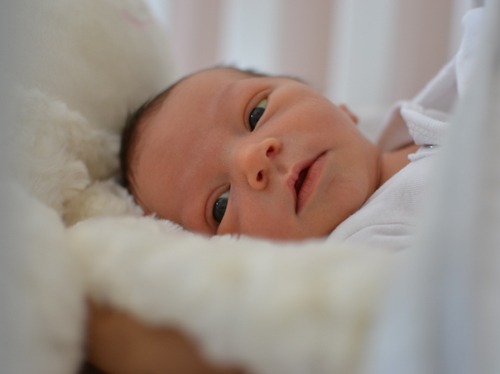 Congratulations, she is a beautiful baby. Kisses for the new member of family. 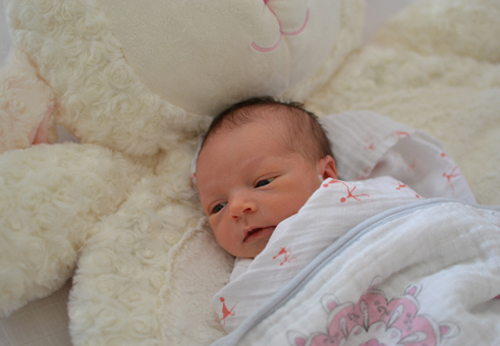 Hoooo, she's so adorable :) Contratulations Audrey! I send you all the best from Paris! She is just beautiful, Audrey! So happy for you both - enjoy these moments...they grow up so fast! She is so precious! Wishing you and your family all the best at this wonderful moment in time. Aww, your daughter is really cute, so beautiful! What a lucky mom you are! Congratulations! Enjoy every minute, she is beautiful! Congrats! She is absolutely beautiful!! CONGRATULATIONS, Audrey! I'm so happy for you and your family! Waoo she is absolutly amazing, beautifull as many love you have for her! So happy for you, Audrey! Welcome baby Eliana!! She is beautiful! Congratulations on your new little girl! OMG OMG OMG! she is just BEAUTIFUL audrey!!! i can not believe that my little baby was ever that small as he sits next to me playing on an ipad at just 2 years old. =) congrats girl. OMG, she is precious! Congrats to you and your hubby. Congrats Audrey! Finally she is here, right?! I know you were antsy towards the end there LOL. She's so cute! She's gorgeous! Love the name. Congrats to you guys! Congratulations. She's so precious and what a beautiful name. AWWWW!!!! :D She's finally here! LOVE HER! Look at that pretty face -- and how alert she is!! P.S. I have that same Lamb mat -- isn't it the best?? Court lays on it everyday!! I wish there was a giant one for me haha! So happy for ya'll! Take tons of pics and enjoy every moment! Wow, she is so beautiful! Congratulations! Welcome Eliana to our amazing and beautiful world. She is gorgeously sweet !!!!! Audrey! Eliana is so beautiful! She looks so delicate and feminine; just perfect. Congratulations!!! xo, Audrey C.
Dear Audrey I wish you both all the best and she is really precious! Can't wait to see more posts with both of you! She is so precious! Congrats. She's absolutely perfect and beautiful! Congratulations to you and your husband and all the best! Awwwww CONGRATULATIONS Audrey for the bundle of joy that she is!!!! What an adorable little girl! Congrats.... she is gorgeous! She is beautiful!!! And you look absolutely amazing as well! Congratulations! It's kind of weird, after you follow a blog for so long, you feel like you are just great friends with the blogger. Even though you don't know me, I am just really so happy for you!! YAY! Ummmm....seriously, how adorable is she??? 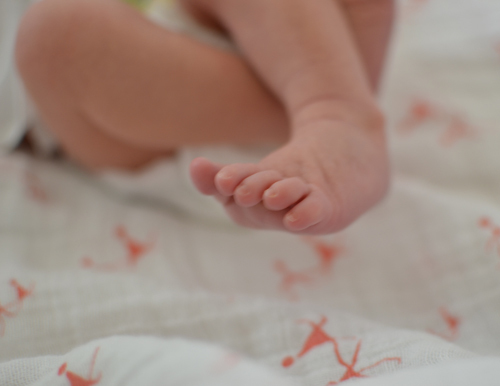 And those cutie pie feet??? Tooooo cute! Congratulations!! So happy that everything went well and that you all are doing well. Many many congratulations on your new little girl! She so beautiful! Enjoy!!! Welcome to the world, Eliana! Your Mom is kind of the coolest Mom on the planet.